Happy Friday!! I wanted to share a quick post about what I'll be doing this weekend. I will be canning! So Now can finally announce I'm on the Gossamer Blue Design Team!! I have always admired Lori and was so thrilled when I was asked to join her team of talented ladies! Her first kit blew me away! And when I got September's I was thinking wow this is just keeps getting better! You won't want to miss this September kit it goes on sale this weekend! In the meantime here is another layout I created with the August kit. Love those mistable banners and tabs from Heidi Swapp. Here is a simple card I created using the August kit from Citrus Twist. Over at Paper Crafter's Corner we had a week of Misting techniques. There is a HUGE giveaway going over at PCC!! We made up tags sharing all the different mist techniques. 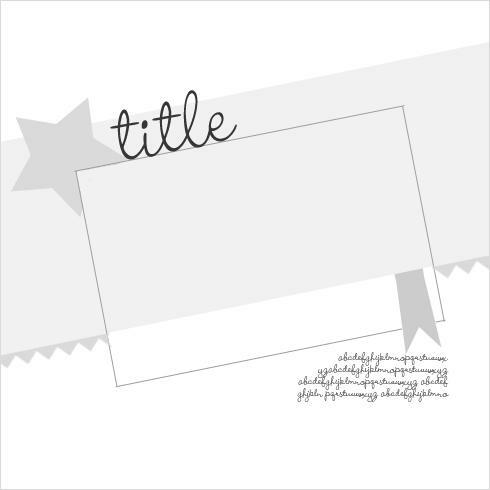 And we also created a layout using a technique. I was to use splatters. 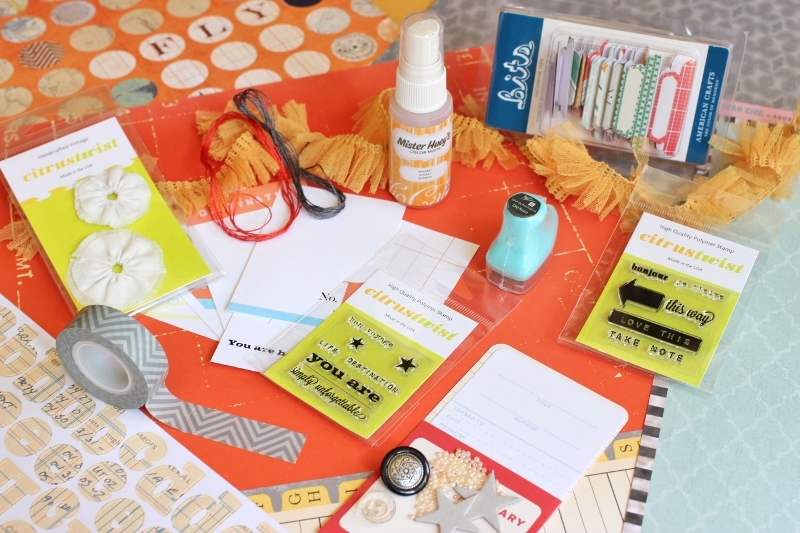 I hope you'll stop by Paper Crafter's Corner and check out mist week! My son turned 6 in June and since we were away on vacation he had bout 4 different "parties/celebrations". He loved it! This was a picture I took of him enjoying a yogurt treat at Yogli Moglis in Georgia. This was on his actually birthday so as you can see he loaded it with goodies. I used the August kit over at Citrus Twist to create this layout. The new LookBook is up over at Gossamer Blue! Come check it out and see what exciting products are in store for you this month! This month there are some amazing colors, papers, and of course my favorite embellishments! So down in Georgia my friend Corrie and her hubby rented a boat for us to all go out on. I was so much fun! The kids got to go tubing and swimming! I used the August kit from Citrus Twist to create this layout. I took and cut out circle and then misted them. I then took some of the string that is in the kit and put around the circle to make them pop. Here is my journaling and I love the pretty ribbon that comes in the kit. It matches great! I love the mist that come in the kit! Lots of layering! 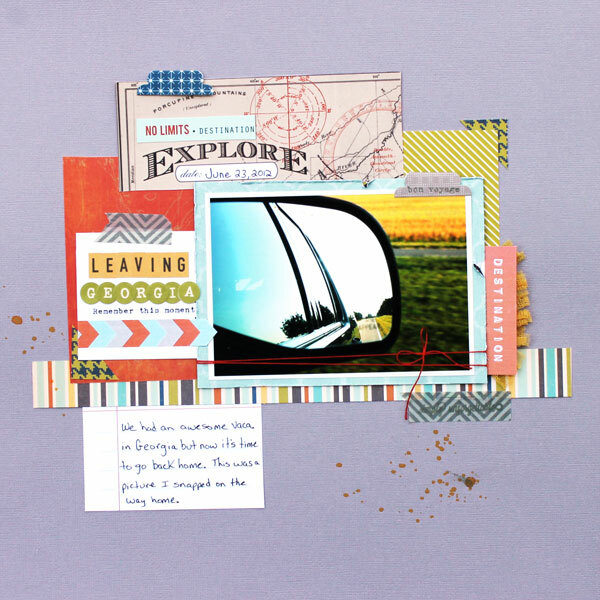 Today I get to share some layouts from The Paper Bakery's August Add-on. This is my last month with them and I enjoyed working with Sarah's kits. This month the add-on had my favorite primary colors in it!! Here is a layout I did based around the sun rays and sticker that said "Think Happy Thoughts". This is my baby girl looking out the back of the boat when we were in Georgia. Love her little feet showing. I stitched in the rays to make them pop. Thanks for stopping by! And remember I have a giveaway going on below. Yesterday was the big reveal day for the August Kit "Tropical Heat"! The colors in this kit are my favorite! I had a lot of fun with this kit! This month is the first for exclusive stamps and journaling cards! 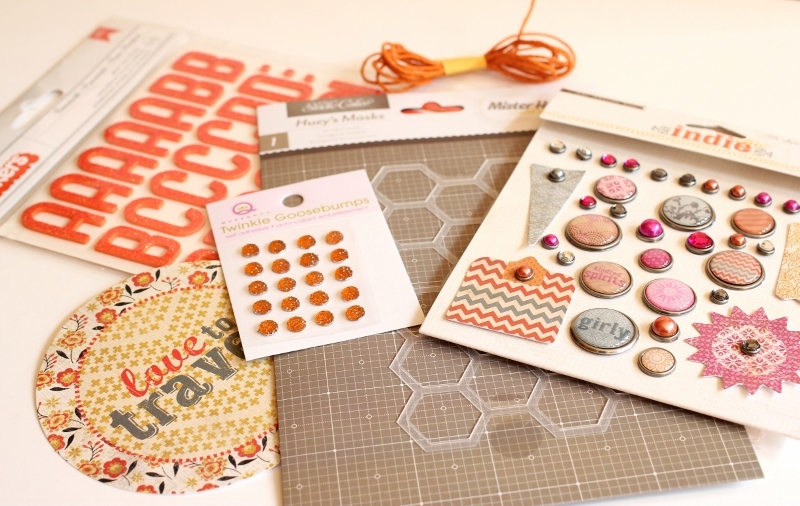 Also this month there is an embellishment add-on and paper add-on. Leave me a separate comment here for each of these you have done. So you could have your name in 4 times!! Comments close Aug. 19th at Midnight EST. I'll announce the winner Monday! Here is a layout I created with this kit. One thing I got to do this summer is meet a great friend face to face! Corrie and I have known each other for 2 years and finally got to meet! It was awesome! We met through scrapbooking!! This is a picture I took as we left Georgia for home in Pa.
Love the exclusive journaling cards! Here is a fun, sweet card I created for Elle's Studio. I used the cute tags from the Summer Lovin' line. The bottom of the card is a piece from the Heidi Swapp file folders. I love how you mist them and the design comes out. Here is a fun card I made using the July Mixed Media Kit (sorry sold out) from The Paper Bakery. I'm really enjoying these kits because there is so many useful things in them. You can see i used the mask in the background and the AC stamp too. I cut the paper flags out of the 6x6 paper pad for Echo Park. Yay, It's finally Friday! We are going to be busy this weekend! How about you? This is another layout I did for Elle's Studio this month. I used the new Summer Lovin' Tags. This tags are so cute and fun! This is my baby girl enjoying ice cream at this place called "Sweet Treats" in Georgia. They take your ice cream flavor and mix in your topping instead of putting it on top. So yummy! Love the numbers tags. And I used my favorite American Crafts line Dear Lizzy! Today over at Elle's Studio is my favorite day of the week....Sketch Thursday!! I played along almost every week and now I get to be the one to share my layout with you on this week sketch! This sketch was inspired by a layout the talented Diana White created. And here is my take on the sketch. I love the angle since I main go straight this was a fun challenge. Thanks for stopping by and remember you can play along and win an Elle's Studio GS. Today is the gallery reveal over at Elle's Studio and it is the first time for the new DT to show their creations!! I'm feel so honored to work with Elle and the rest of the wonderful team! Here is one of my layouts "Oh the Places You'll Go" (Dr. Seuss title). This layout was so fun to make. I wanted to document all the states we went through on our vacation. 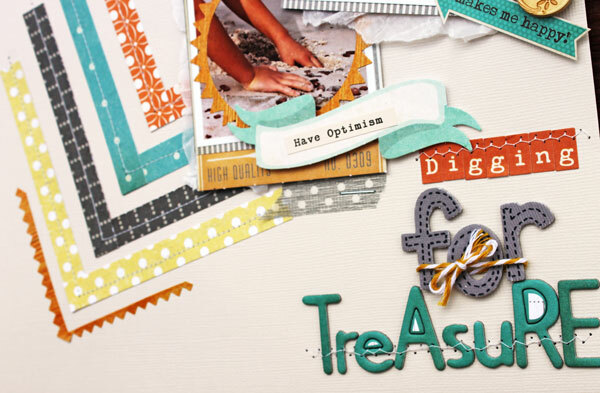 I used the new Summer Lovin' tags and also so new flairs from Paper Play Studio. And the reason for that is I have never been any further then the states that touch mine. So this was big for me and my family!